Probably you noticed that lately I'm wearing this light coat quite a lot. For a Spring rainy day this is just perfect. I have to admit that the pattern is a plus and I find it very easy to match with other prints as this pair of striped jeans. A burst of color yellow and I was ready to ignore the foggy weather. Really love the look. The definitely patterns on top of each other is great . Your checkered jacket is my favorite! i love the way you always mix these kind of stuff together !!! Loving your bag and coat! I am completely smitten with this look, incredibly beautiful and stylish ensemble! Love this bold look! So fabulous! You mixed these patterns so well. Seriously, great styling job! 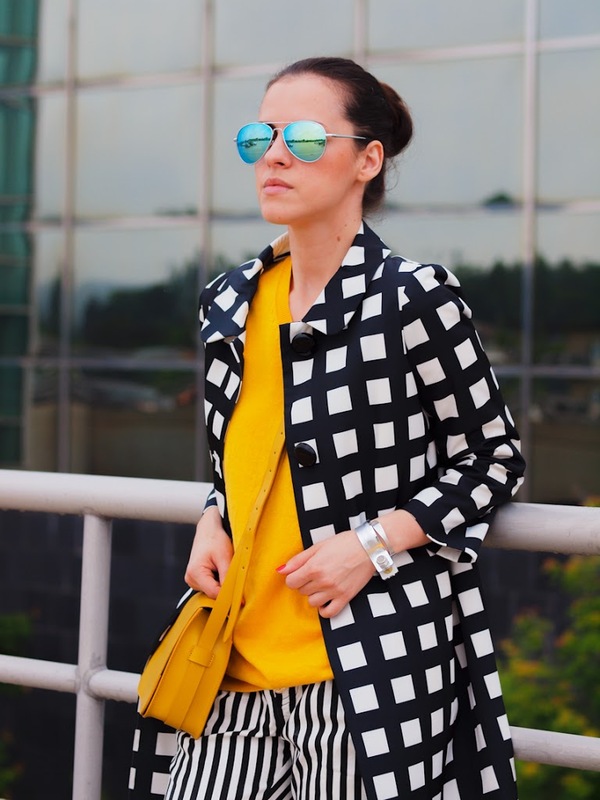 Such great details going on in this look – love that everything is either black, white or yellow except for the sunnies! Gorgeous! Love the combination of checks and stripes. And nice that you added a pop of color to your outfit. This yelowish color looks so great with the black and white. Um adore this! And I would wear that coat all the time too, it’s so awesome! Happy Friday pretty lady! Wow Wow Wow!!! Love Love Love… I have to try this! I love this mix of prints and colours! Super cool outfit! That mix is impressively good! 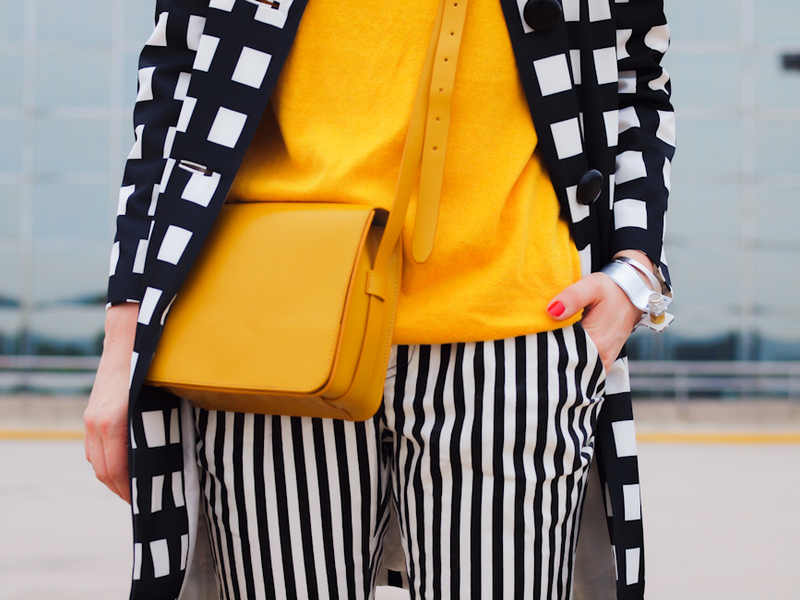 Amazing outfit, love how you mixed different patterns and the pop of color is perfect! what a great pattern combo! you look great! im loving how you mixed prints here! So unpredictable, so in-the-know style!